In order for Monash Sport to continue to provide our members with the best service possible we are conducting research into Monash Sport's role in the student experience at Monash University. Student surveys are now open and should only take 5 minutes. It is vital for us to know what our members think of us so we can improve our servicing of students in the future, and the offering of Sport services to Monash University students. Last year we had 966 respondents, which is a great response. This year we are aiming at getting over 1000 members to respond in order to develop our facilities and timetables to best suit student needs. In 2015 members were generally satisfied with their experience with Monash Sport, with over 65% extremely satisfied, but there is always room for improvement. 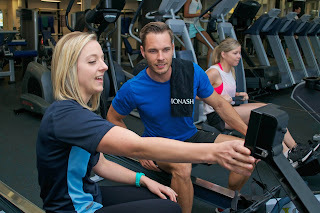 We'd love to hear from you about your experience at Monash Sport, and how this has reflected on your time at Monash University, in order to help us improve our services. Visit the link here to complete the survey.